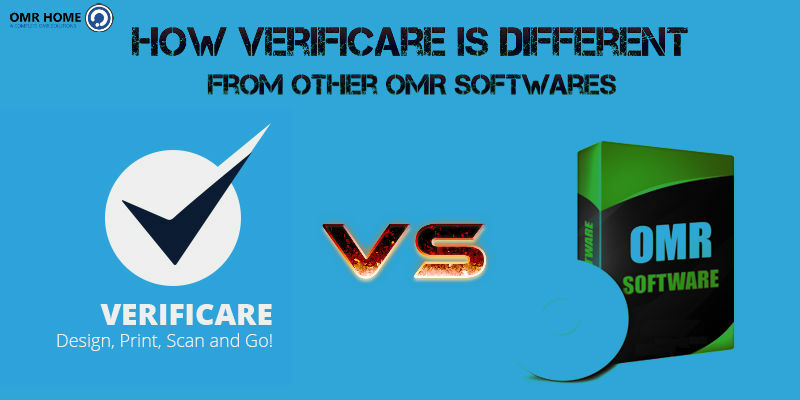 Verificare developed by OMR Home is pioneer OMR software offering zero tolerance. A team constituting of highly motivated engineers worked all day and night long to introduce this software. It offers a triggered advantage over the traditional OMR software with its advanced functionality and streamlined processing cycle. This sheet reading OMR software can be incorporated to design a vivid range of OMR sheets, thereby decreasing the operator dependency and labor cost. The software allows you to crop images on the OMR sheets in the form of logos meant for branding purpose. Using this software you can design a variety of OMR sheets for different universities, colleges, corporate, etc. The OMR sheet can print the OMR sheet using any type of printer assembly. It can easily generate, print and read 1D, 2D barcodes, QR codes and printed text (OCR) from your OMR forms. OMR software gets coupled with intelligent OCR/ ICR modules that enable organizations to filter documents using machine printed/ handwritten codes. The OMR response sheets, bulk in number can easily be evaluated. This software can check an unlimited number of set to avoid cheating in the examination. It constitutes the advanced Artificial Intelligence Technology to anti- cheat and wrong answer key detection. This software is compatible with a variety of scanner units ranging from the flatbed, MFP, ADF, etc. The scan set of OMR sheets can be passed through an OMR software to read and evaluate the final scores. It can read bulk OMR sheets, ensuring optimum accuracy marks. The software can read 10 times faster and up to a speed of 300 sheets/minute. Verificare can also read the sheets designed using other software like Coral Draw, Paint Brush, Photoshop, etc. Smart and intelligent rectification of error files, unmatched data, duplicates and data sorting, proves a superior advantage over other similar software. Verificare the OMR software provides swift result calculation. The calculated records can easily be used for further forefront analysis. Data can be exported to a variety of formats that includes the CSV, Excel, Access, SQL, etc. Once, the software reads the OMR sheets the effective scores can be transferred to a desired database and format using Verificare. Thanks for writing such an eadu-to-ynserstand article on this topic.